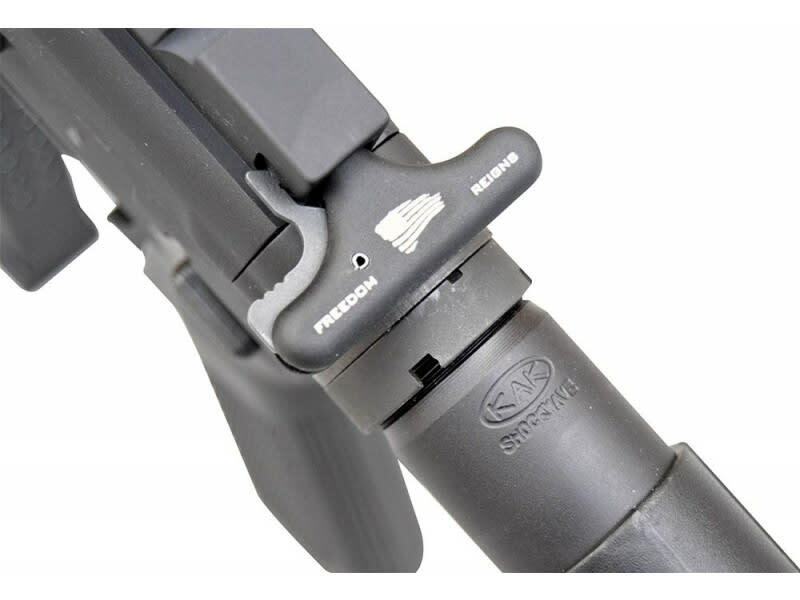 Compatible with KNS precision® AR-15 Trigger Pins. Limited Time Shooter's Package!! - As of 01//01/2019, each FX-9 Rifle purchased will come with a shooter's package including 1 additional after market Glock 33 round magazine, 3 additional SMG Tactical 17 round Glock mags, 1- red/green dot holographic reflex sight with selective reticle settings, and a black tactical carry case. The items in this shooter's package add up to well over $100.00 in additional retail value and all of these accessories ship Absolutely Free with each firearm. Because shooters packages may change No Rainchecks will be issued when out of stock and we reserve the right to substitute the brand of any shooters package accessories based on availability. Customer Review: Graham Bates Tests Magazines & Ammo Loads. Accepts all Glock double stack 9mm Factory or Aftermarket magazines! Limited Time Shooter's Package!! - As of 01/01/2019, each FX-9 Rifle purchased will come with a shooter's package including 1 additional after market Glock 33 round magazine, 3 additional SGM Tactical 17 round Glock mags, 1- red/green dot holographic reflex sight with selective reticle settings, and a black tactical carry case. 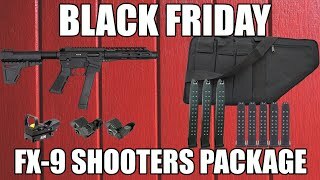 The items in this shooter's package add up to well over $100.00 in additional retail value and all of these accessories ship Absolutely Free with each firearm. Because shooters packages may change No Rainchecks will be issued when out of stock and we reserve the right to substitute the brand of any shooters package accessories based on availability. 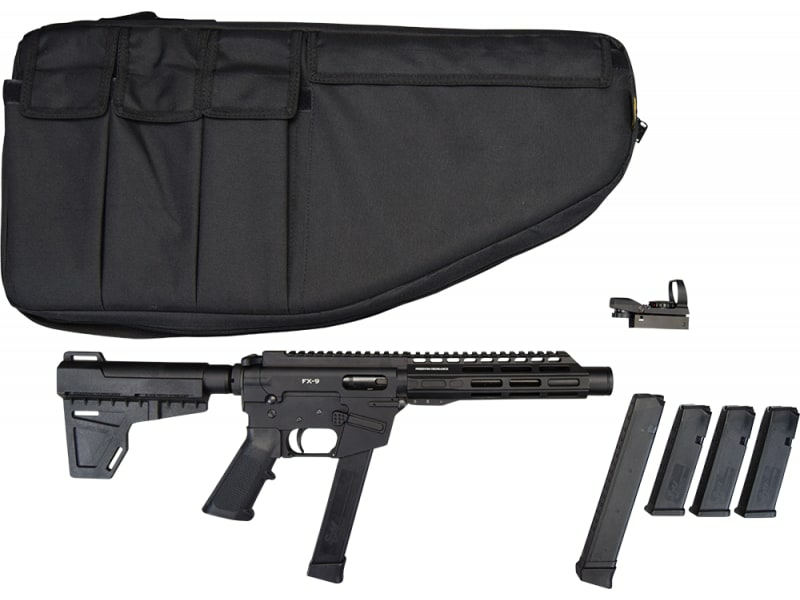 Special Shooters Package includes 1 additional 33 Rd aftermarket magazines a Red/Green Dot Sight a Black Tactical Carry Case, and 3 - 17 Rd SGM Glock Type Mags. The FX-9 Carbine has been one of our most popular ever and we are excited to introduce a new variation, the FX-9 Pistol! The FX-9 (Freedom Xtreme 9mm) pistol is produced by our friends at Freedom Ordnance and we think they absolutely got it right. Not only is it gorgeous but it is also a functional workhorse that shoots as good as looks. Extensively test by not only the manufacturer, we have also done our own testing, and it is built to be tough as a Humvee but with the classic lines of a Corvette. 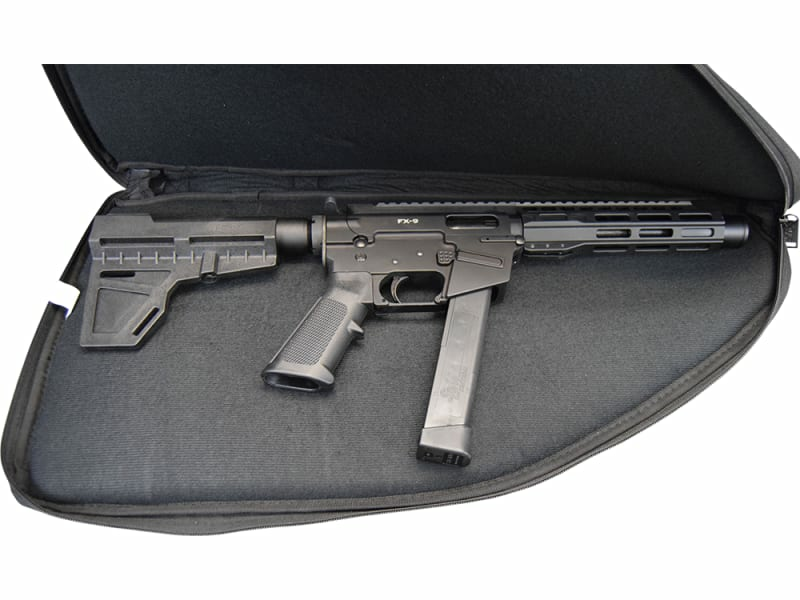 Features a custom improved and extended mag release, full billet aluminum upper and lower, U.S. made low profile 7" free float M-Lock rail, and AR-15 style muzzle brake. Upper receiver rail is fully T-marked for the entire length of the upper receiver. Accepts all Glock 9mm mags and come with 1 high-quality SGM Tactical 33 round magazine. Our current version of the pistols ( as of 01/11/2018 ) also come from the factory with the highly popular 3" muzzle enhancer already installed. 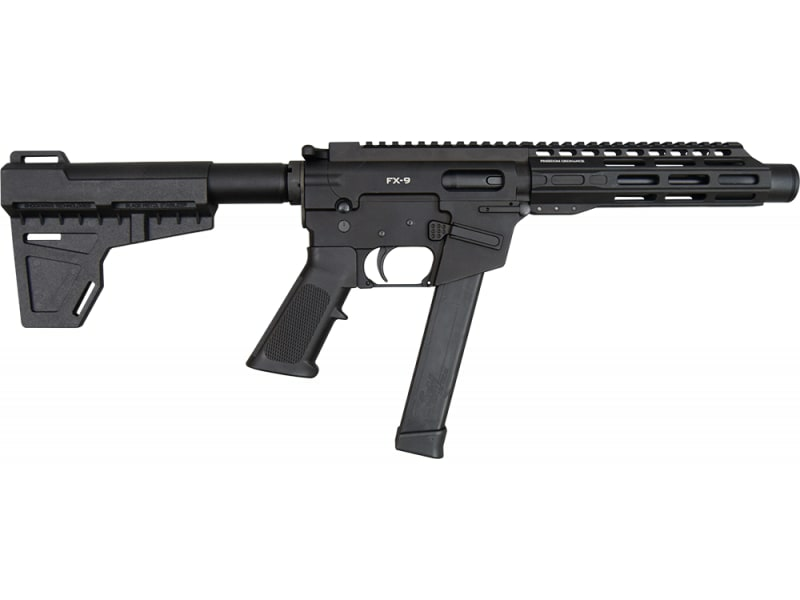 The FX-9 9mm pistol has a familiar set of operating controls for the avid AR-15 user, and accepts most free float AR-15 rail accessories. It features a last round hold open function. The pistol does accept drop in aftermarket triggers, however the manufacturer doesn't recommend use of aftermarket fire control groups. The FX-9 uses standard double stack Glock style 9mm magazines and comes standard with a 33 rd double stack mag. When we designed the FX-9 our goals were reliability, affordability, and familiar controls for the user. The FX-9 is machined from billet material, anodized type III aluminum components and has full hard nitride steel components including the barrel. Other high friction parts such as the bolt assembly and bolt drop have a black nitride finish for heat resistance and ultimate smooth functioning. The black nitride provide a high level of extended wear protection and corrosion resistance. 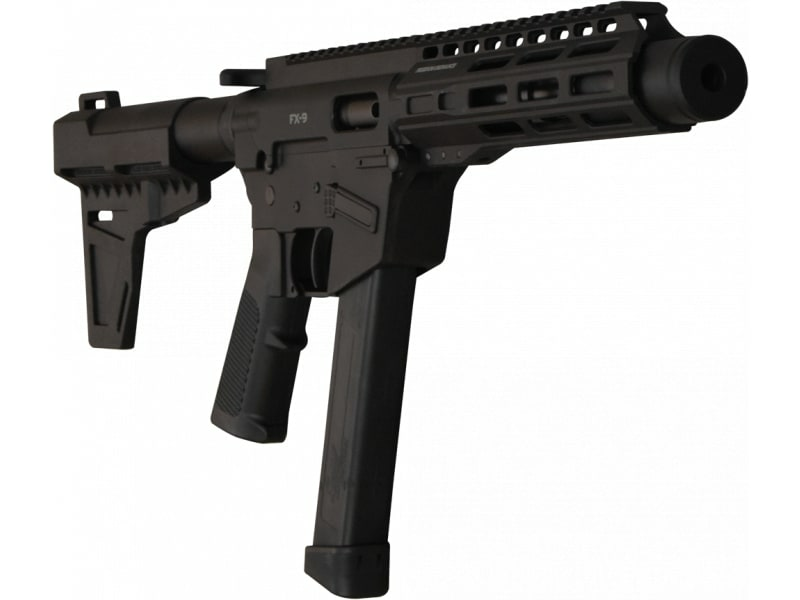 Pistol also comes equipped with the Shockwave Blade pistol brace, approved by the ATF as a pistol accessory. 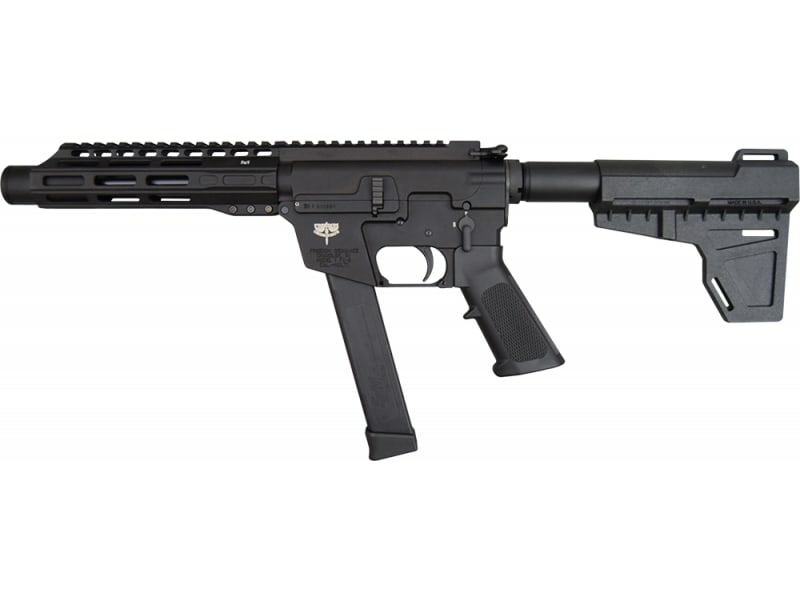 The upper and lower receiver are more than 1 inch shorter than a standard AR-15 upper and lower receiver making it more compact and lighter than a standard mil-spec AR-15 design. 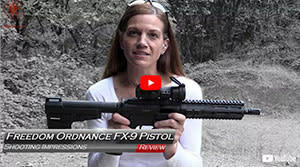 The FX-9 upholds extreme reliability with a wide range of ammo including many hollow point designs for self-defense, full metal jacket, and copper plated bullets. We do not recommend the use of non-jacketed/plated ammunition as unprotected lead can cause fouling and buildups that plated and jacketed bullets do not. Fully Warrantied with a Limited Lifetime Warranty by Freedom Ordnance. Note - As of 01/11/2018 all FX-9 pistols ordered will come from the factory with the upgrade of the 3" muzzle enhancer already installed. We sell those same enhancers for 24.99 elsewhere on the site so having it come on the pistol is somewhat of a big deal and add's not only to the overall look but also to the value of the weapon. The enhancer is not intended to affect the report, flash, or recoil of firing, but does contribute to a shorter perceived barrel length, improved balance and increased aesthetic appearance. Plus it just makes the pistol look really cool. Last Note - Most of the reviews and video's you will see here show the original FX-9's without the muzzle enhancer. If you think those are cool, the variation we are shipping now is even better.